It has been an exciting year for Xtracta and we’d like to thank you for helping make it a memorable one! We’ve grown from strength to strength and 2018 looks to be even bigger for the field of AI, with more and more organisations adopting AI-based technologies to streamline processes and save time and money. 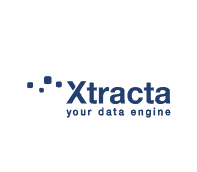 Over 10 million pages processed by Xtracta for our customers each month. Wishing you a Happy New Year and safe holidays from the Xtracta Team.